Click on image to see large view. "The world is filled with opportunities just waiting to be found by the energetic and intelligent person who is seeking"
START CREATING FUTURE LEADERS TODAY! BE PART OF THE MOST INNOVATIVE CONCEPT... a Simple Easy Model to operate with no royalties or hidden fees! Our unique model of Public Speaking, Communication and Confidence Building is the first of its kind. 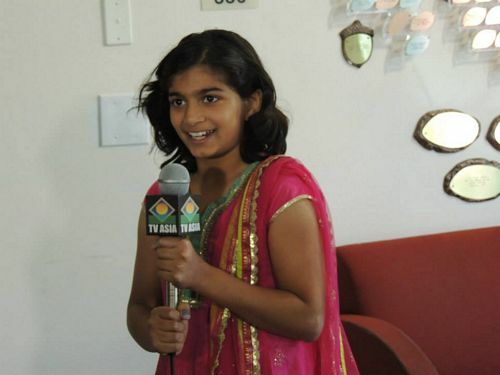 Win With Words® is a curriculum developed by Ms. Rennu, based on the simple belief that every child is a “genius” and as educators and parents, it is our responsibility to awaken the “inner genius” in each child. It is imperative that we, as educators and parents, help preserve these genius characteristics of children as they mature into adulthood, so those capacities can be made available to the broader culture in these times of incredible change. You have the choice to open a free standing unit or take the curriculum as a mobile model onsite to schools & other day cares and community centers. The Win With Words model is a simple Franchise Model in the US for 5 years with no royalties. (International market out of the US is under a license). Our award winning curriculum, based around "interactive recipes" incorporates the essential “ingredients for success” which are critical thinking, public speaking and language development skills in every aspect, unlocking the gates to a child’s love for learning. 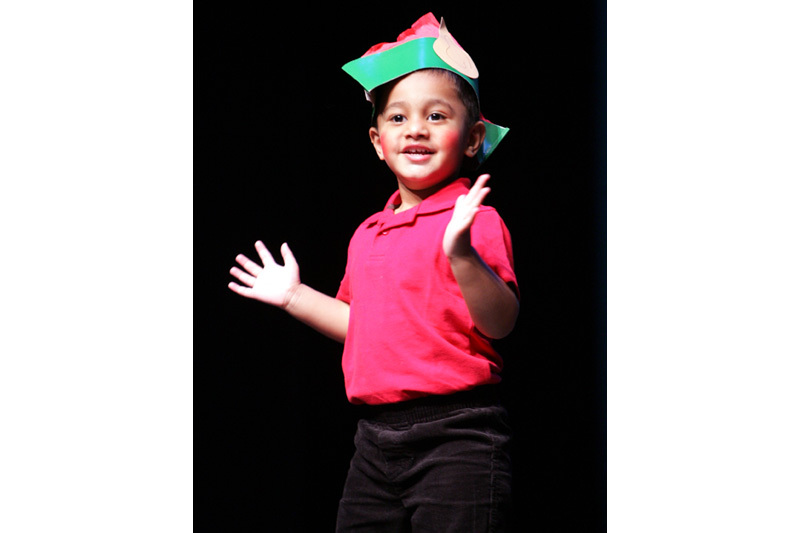 In the free standing express model, Our classrooms are decorated and endorsed with creativity, love and high energy instructors in a relaxed atmosphere, free from criticism, comparison and pressure to succeed. Each child is treated as a unique gift capable of doing wonderful things in the world. We disregard the standard I.Q. meaning of genius and using models based on the theory of multiple intelligences, we ensure that every child in our center will succeed on their own terms. 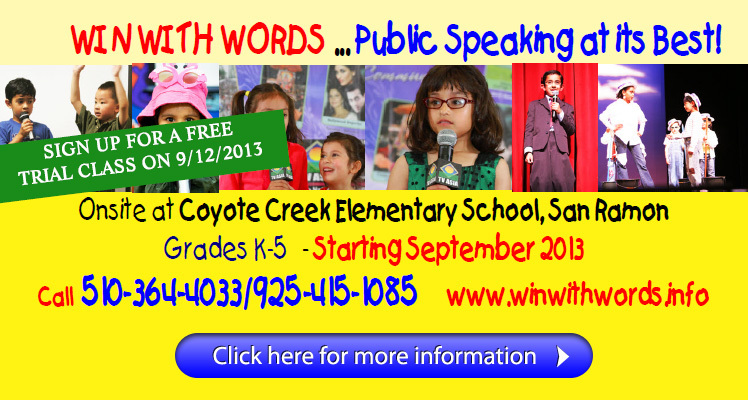 Win With Words™ has a proven track record and our public speaking curriculum has been a proven system for 12 years. As a franchisee (in the US) or a license (interanational) you will have access to award winning curriculum to develop and grow your business for children ages 3-15. You will run your business independently with no royalties other than a prepaid franchise/license fee for 5 years. For a business investment of under $70K (US) you can join our team of growing entrepreneurs & begin making a difference in the lives of children all around the world. Who knows your student may well be the Future President of this country honing their communication and confidence with you. Take your first step to learning more about our exciting license opportunities, please email us at rennud@gmail.com or call 510-713-2431 or 510-364-4033.